TOKYO (Sputnik) — Three TEPCO workers opened 11 valves to let coolant of minus 30 degrees Celsius (minus 22 degrees Fahrenheit) circulate in pipes surrounding the building, and has begun freezing of remaining "ice wall" section. 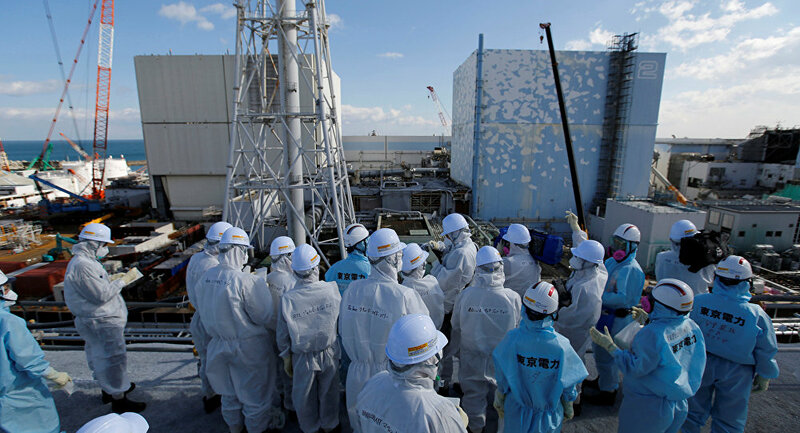 The broadcaster also reported that even though the work had been previously estimated to take approximately two months, TEPCO, which is responsible for the project, said that due to the fast flow of underground waters the work might take longer. The "ice wall" plan stipulates the creation of a 0.9-mile long barrier by circulating coolant of 30 degrees below zero Celsius in pipes buried around the building. The "ice wall" is expected to keep groundwater from entering the station, therefore preventing an increase in the amount of water contaminated by radioactive substances. On August 15, Japan's Nuclear Regulation Authority approved the completion of the remaining 23-foot section of the plant's "ice wall," thus allowing for the completion of the soil freeze that first began in March 2016. In 2011, a major earthquake triggered a tsunami that hit Japan's Fukushima NPP and led to the leakage of radioactive materials and the shutdown of the plant. Following the incident, Tokyo shut down all the NPPs in Japan and began to restart them after introducing new security standards. The problem of water contaminated by radiation has become one of the priority issues after the disaster, as the water was constantly accumulating beneath the station due to reactors cooling, with the underground water entering the station and getting tainted as well.